Dr. Leevers is a sensitive, warm, and caring bilingual English/Spanish therapist who provides a therapy environment that is safe, accepting and understanding. Her style is collaborative, direct, and empathic. Together with her clients, Dr. Leevers makes sure there is agreement about the specific goals of therapy, offers an explanation for the issues, and develops a personalized treatment plan. Dr. Leevers provides interventions that are effective and based upon the most advanced and current research. She is attentive and frequently monitors progress towards therapy goals and will make appropriate adjustments to the treatment plan when needed. Her goal is to help her clients improve their lives and achieve psychological wellness. She utilizes her expertise and warmth to build hope, personal power, and the ability to overcome emotional health issues, whether big or small. interpersonal relationship problems (e.g., family conflicts, friendship issues, cultural differences, poor communication). Dr. Leevers also offers psychotherapy to adults and older adults who may be dealing with emotional/physical challenges, marital problems, and/or other various life stressors. 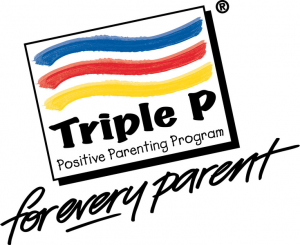 As an accredited provider of the Positive Parenting Program (Triple P) [Level 4-Standard], Dr. Leevers delivers an intensive parenting support intervention individually to parents with children (aged birth – 12 years). Standard Triple P is a research designed 10-session intervention suitable for parents with concerns about their child’s behavior. The program has been found successful in reducing negative behaviors in children struggling with aggression, fighting, not sharing, interrupting, temper tantrums, whining, and more. Dr. Leevers conducts psycho-educational and pediatric neuropsychological assessments. The results provide information regarding specific skills and abilities, emotional and behavioral functioning, and intellectual achievement. Moreover, the results offer insights into how a child uses their cognitive abilities, solves problems, remembers information, uses and understands language, and processes visual and oral information. Dr. Leevers specializes in assessing ADHD, Autism Spectrum, language disorders, learning disabilities, social and behavioral issues, intellectual and developmental disorders, and/or psychological disorders. Dr. Leevers obtained her bachelor’s degree in psychology with a concentration in developmental disabilities from the University of California, Los Angeles (UCLA). She received her master’s degree in clinical psychology from California State University, Northridge (CSUN), and earned her doctorate degree in clinical psychology from Pepperdine University. 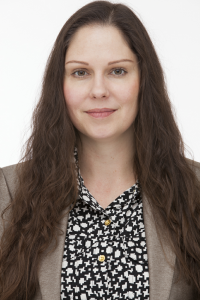 Dr. Leevers is a bilingual English/Spanish psychological assistant (PSB94024513) at The Vine Counseling and Psychological Services, supervised by Dr. Christine Duong-Perez. Dr. Leevers can be reached at dr.leevers@gmail.com or (951) 231-1667 Ext. 3.